Have you recently began to think about how your diesel work truck could do with a bit more power? Have you ever wondered what a bit more power or torque in the right place could do for you when you are carrying a heavy load or just going about your regular driving? Our simple plug and play module can easily give you an instant increase in power. You'll be excited about the possibilities for your vehicle and you'll experience the satisfaction that fitting a Diesel Power Chip can bring to your everyday driving whether at work or at play. The Diesel Power Chip - DPChip - is available for a large range of EFI diesel trucks from the light utility of the Mercedes Sprinter to larger commercial vehicles such as the Isuzu Gigamax. 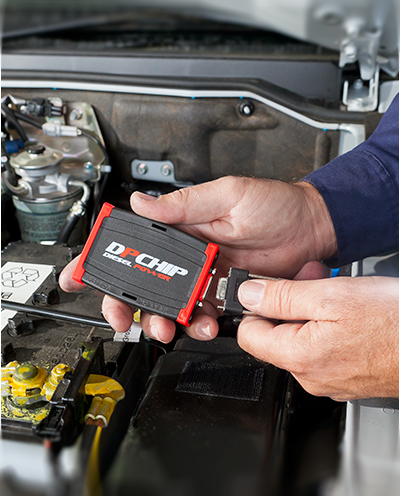 By fitting a DPChip you can take full advantage of your truck's power. With an increase of up to 35% you will notice a difference in takeoff power and control. With a longer power band you'll experience less gear changing and smoother gear changing. This improved performance leads to a general improvement in economy. 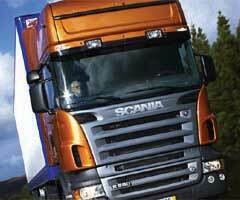 In many cases, Up to 10% better fuel consumption can be expected when driving with a DPChip. Get the edge over your competition and get your vehicle going with a DPChip. Add our 6 year warranty to the equation and you can see that the DPChip is your key to more power and control saving you many times it's cost over the working life of your vehicle. It’s Official….15 gear changes less, 5 minutes faster. Those are the results a truck manufacturer, who wishes to remain anonymous, reported after testing one of their vehicles (one of the most popular trucks on the road) with and without the DPChip over a ‘short circuit’ course recently. Impressive results but not unexpected considering many diesel trucks are very underpowered from new. Most drivers reading this will agree that once fully loaded power can be severely effected. The knock on effects of this include poor fuel economy (you have to drive foot to the floor to get going) and increased wear and tear on the vehicle (more gear changes and a generally greater load and strain on the vehicle). This is where the DPChip can help. Traveling the open road is a great Australian tradition but getting to your destination can sometimes be full of frustration, every hill a struggle. We all know the irritation of being stuck behind a slow caravan or camper in holiday traffic. Even worse if you’re the one causing the holdup and you have to put up with the annoyed drivers behind. More importantly your family’s safety can be at stake. A lack of power can not only be frustrating but also dangerous. It’s important to have enough power to permit quick and safe passing maneuvers. With the addition of a DPChip you will make your travels safer and your driving a pleasure. The improved power and torque will be welcome on long hauls when fully loaded and the fuel savings will add up in no time. Not only will the DPChip improve the power, torque and economy of your diesel but with improved engine operation and efficiency you can be appreciate less strain on the motor and increased durability. DPChip is available for allEFI diesel engines including the popular Mercedes Sprinter and Vito, the Volkswagen Caravelle and Transporter as well as Fiat Ducato and many more. Below is just a sample of our range. Click here to search for your vehicle now.